March 29 (CRICKETNMORE) - Days are not going good at all for the Australian cricket team. 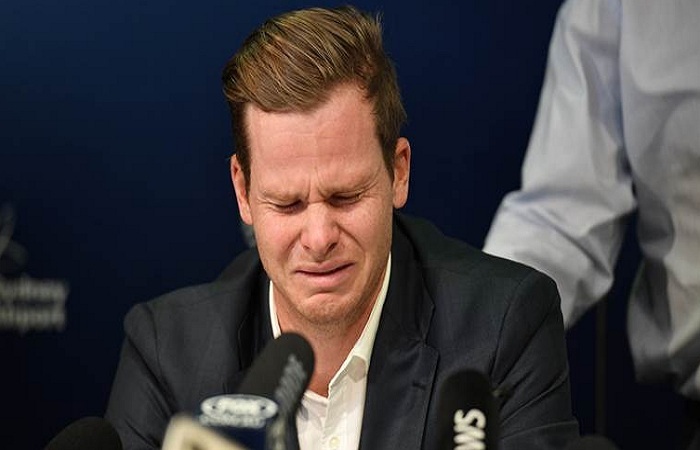 A sad news comes out as Steve Smith breaks down infront of Australian media while addressing them for the first time after getting caught in the scandal of ball tampering. James Sutherland, CEO of cricket Australia has imposed a ban of 1 year on Steve Smith along with David Warner from playing cricket. Cameron Bancroft has also been set away from the cricket field for 9 months for getting involved in ball tampering during 3rd test match against South Africa in Cape Town.